100% barrel fermented, but with only a trace of new oak, so there is minimal oaky taste. Straw green in colour, with aromas of lemon rind, grapefruit and talc. Palate is focused, long and lively with a limey core. Nice grip and presence; highly textural, with outstanding length. 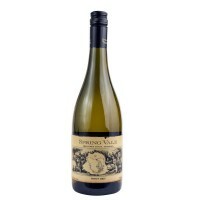 A Gewürtztraminer with powerful, intense aromas of roses and lavender. 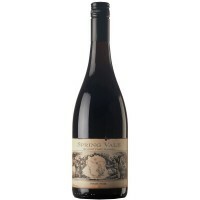 A dry, textured stylish palate with medium intensity and a good, long finish. Great summer drinking, and top value. Straw green in colour. Typical nose of lifted pear and marshmallow. Viscous, textured palate with a grippy, savoury element. As usual, fantastic persistence and subtlety on the finish. 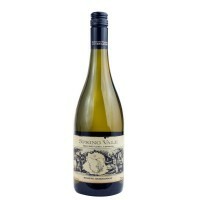 Packs a punch for a light-bodied white, with serious texture and presence. Medium cherry colour. Aromatic nose of lavender, allspice and subtle toasty oak. 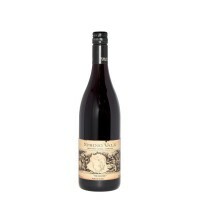 Rich, dark cherry flavour on a sweet mid-plate, with a fine line running through it from front to back. Fine, even, powdery tannins and a long, balanced finish. An elegant style with deceptive complexity. Notes provided by Spring Vale. The Spring Vale 2018 Rosé, a 60/40 blend of Pinot Meunier and Shiraz, has beautiful sunset hues with an intriguing bouquet of guava, roasted peach and subtle vanilla. An immediate hit of red fruits on the palate, enriched with subtle spice of white pepper and pink peppercorns for a prolonged savoury finish. 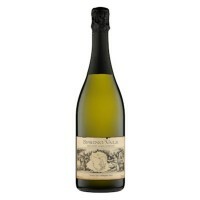 Made from 69% Chardonnay, 24% Pinot Noir and 7% Pinot Meunier. 26 months on lees. 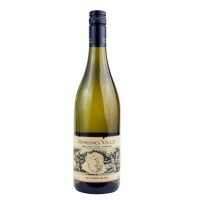 Complex aromas of lemon, grapefruit and fresh dough. 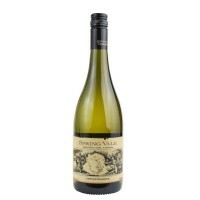 A dry, savoury palate with a very long, stylish finish. Classic aperitif style sparkling. Subtle nose of golden delicious apples. Palate is savoury and dry with well integrated, fine acid. Owing to 60% barrel fermentation in old French oak barriques, this is Sauvignon Blanc with structure, complexity and interest. Sure to generate conversation and many happy faces. Notes provided by Spring Vale.